The Arnold-Liebster Foundation contributed educator resources for the Teacher Workshop: Resistance. Skype conference with 50 10th-12th grade students and Simone Liebster. Skype conference with 66 10th-12th grade students and Simone Liebster. Diana Zientek presented information and resources for the Teacher Workshop: History of the Holocaust. The conference theme was “Ready…Set…Global…” and held at Camelback High School. Exhibitors Kristin Dickman Walter and Renee Ochsner shared educator resources. “Honoring the Past, Preserving the Present, Shaping the Future” was the theme of the 60th annual conference. 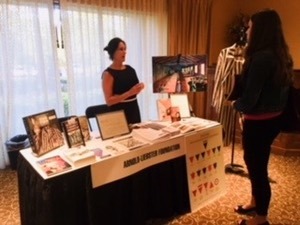 Exhibitor Carol Confehr shared classroom resources with educators. 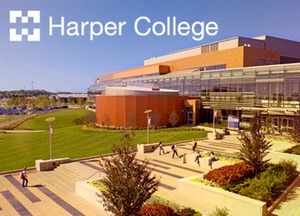 Harper College hosted the fall conference. A workshop by Gaye Flowers and Marge Fulton included first-person testimony by Simone Liebster, who survived the Holocaust era as a Jehovah’s Witness youth. 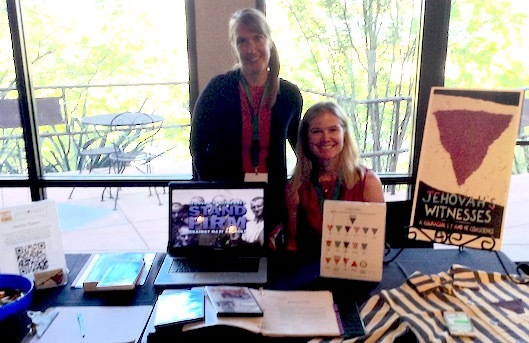 An exhibit table provided resources for educators. 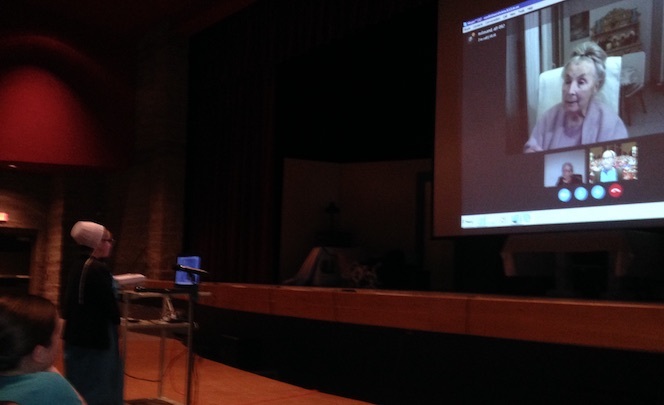 Skype conference with 160 8th grade students and Simone Liebster. The 51st “Read the World” conference at the Peoria Civic Center included a workshop and exhibit table by Marge Fulton and Gaye Flowers. 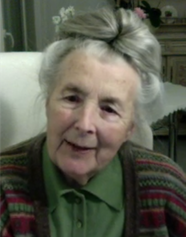 Simone Arnold Liebster, author of Facing the Lion: Memoirs of a Young Girl in Nazi Europe was interviewed on Skype from her home in France. 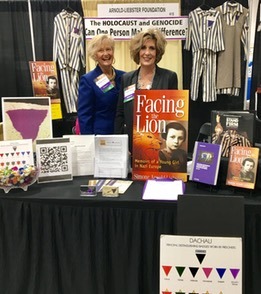 Held at the Phoenix Zoo, the conference theme was “Taking a Stand.” Renee Ochsner and Kristin Dickman Walter's session “Standing Up and Standing Out in Nazi Europe” featured an interview with Simone Liebster and an exhibit table with classroom resources. Skype conference with foreign exchange students and Simone Liebster. 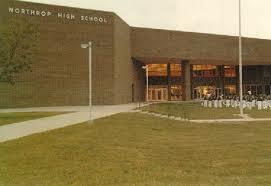 The students were from Russia, Mexico, South Korea, and China. Skype conference with 20 students and members of the community and Simone Liebster. Skype conference with 29 students and members of the community and Simone Liebster. Skype conference with 32 students and members of the community and Simone Liebster. Skype conference with 50 6th grade students and Simone Liebster. Skype conference with 30 middle and high school students and Simone Liebster. Skype conference with 304 8th grade students and Simone Liebster. Skype conference with 50 5th grade students and Simone Liebster. Skype conference with 85 8th grade students and Simone Liebster. Skype conference with 75 8th grade students and Simone Liebster. Skype conference with 17 high school students and Simone Liebster. Skype conference with 70 8th grade students and Simone Liebster. Skype conference with 15 high school students and Simone Liebster. 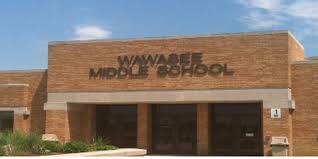 Two Skype conferences with 100 7th grade students and 125 8th grade students and Simone Liebster. Skype conference with 50 elementary, middle and high school students and Simone Liebster. Skype conference with 13 10th-12th grade students and Simone Liebster. Skype conference with 30 elementary, middle and high school students and Simone Liebster. Skype conference with 14 students from Methods of Teaching Social Science (Elementary) class. Skype conference with 135 7th grade students and Simone Liebster. Skype conference with 20 5th-8th grade students and Simone Liebster. Skype conference with 30 10th and 11th grade students and Simone Liebster. Skype conference with 200 6th grade students and Simone Liebster. Jehovah's Witnesses: Faith Under Fire is on exhibition from February 18 through July 16, 2017. Skype conference with 80 10th grade students and Simone Liebster. Skype conference with 84 7th grade students and Simone Liebster.